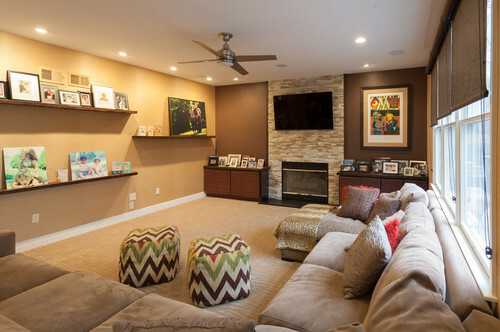 You can use decorative natural stone for a fresh breath of oxygen in a living room decoration project. 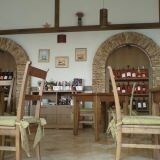 Consequently, the space adds good taste and elegance, but also a friendly ambience. Here are some design ideas that you'll fall in love with and best of all are easy to obtain. Decorative stones are always in trend, a decoration element that you can rely on. On top of that, they have excellent durability. Natural decorative stone is also easy to maintain. For cleaning, you can use professional solutions, neutral detergents that will not damage the tile surface. Whether your living room belongs to an apartment or a luxurious villa, decorative stones have their reserved place always so you can create a dream setting, to always feel at home. First of all, you can use decorative stones if you want your project to look as natural as possible. Hence, choose it for a living room with a classic, minimalist look. You can clad one of your walls with decorative natural stone tiles and for more creativity, combine natural stone tiles with different sizes and shapes. As a tip, keep in mind to choose bright colors for both living room and kitchen. This will also create a feeling of more space and on top of that are perfect because they transmit brightness into the area that use it. The rest of the walls can be painted in bright, neutral colors, while the furniture should not be the one that leaves the impression of busy. Choose a sofa with a light color cover and a white, rather short table that can be made of natural stone (marble, travertine or even granite). For this setting a darker color flooring is a perfect fit, in contrast with the rest of the room. 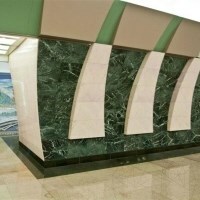 Visit the decorative stone category from our website! Do you love rustic interior design and want to have a rustic living room? Well, decorative stone is an ideal choice for this, because it blends perfectly with wood, usually a feature material in rustic design. You can use solid wood for the dining room furniture, flooring and ceiling and cladding the wall with decorative stone. 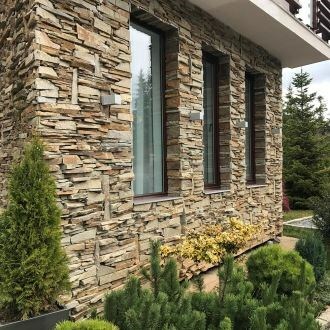 You will obtain a special visual effect, because stone and wood are two elements that blend perfectly and also the favorite combination of many interior designers. A fireplace cladded with decorative natural stone will find the perfect spot in this dining space. It can be installed on any of the room walls, even on the corner. The colors and type of natural stone used for building this fireplace are also selected depending on the other decoration elements in the room. A fireplace totally transforms the look of a room, since it adds elegance. For many homes, the living room is like a business card, since this is usually a place to receive guests. That's why many people consider the living room very importance, hence the need to be decorated in line with the latest trends. At the same time, living room should also be a relaxing space, a place for eating in peace, alongside family and close friends. If you have a spacious living room with large windows, in which the light floods the space, clad the opposite wall with natural stone. Thus, you will have a true stunning effect. The most suitable material for flooring is also natural stone, namely marble or travertine. Decorative stone is also an amazing option for an apartment living room, which usually, is not that ample in terms of space. The light color decorative stone used for wall cladding in your living room give the sensation space. At the same time, the room will look even brighter, for a particularly intense visual impact. The texture created by the joints has also its well-defined role, for enhancing the beauty of the space. The wide range of natural stone models offer you the possibility to adapt perfectly it to your living room style. For a fresh accent, you can consider cladding the furniture with stone - the flexible slate is perfect for this type of project. Last but not least, the ornamental stone could be also found in the decoration items of your living room. Those could be a small statuette, candle holders or wine holders, all natural stone objects, obtained with many efforts. Not only are they incredibly beautiful, but they are also very resistant and not fragile, which means you do not have to worry about breaking. For candle holders, you can choose to have an irregular shape to increase charm, because the visual effect is one that will surely fascinate you.